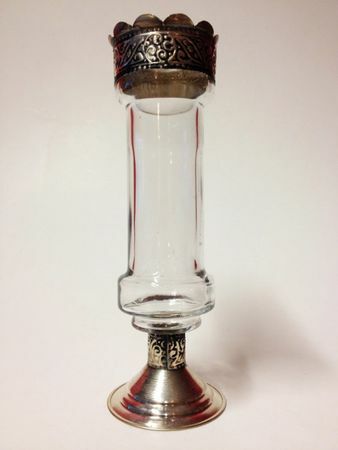 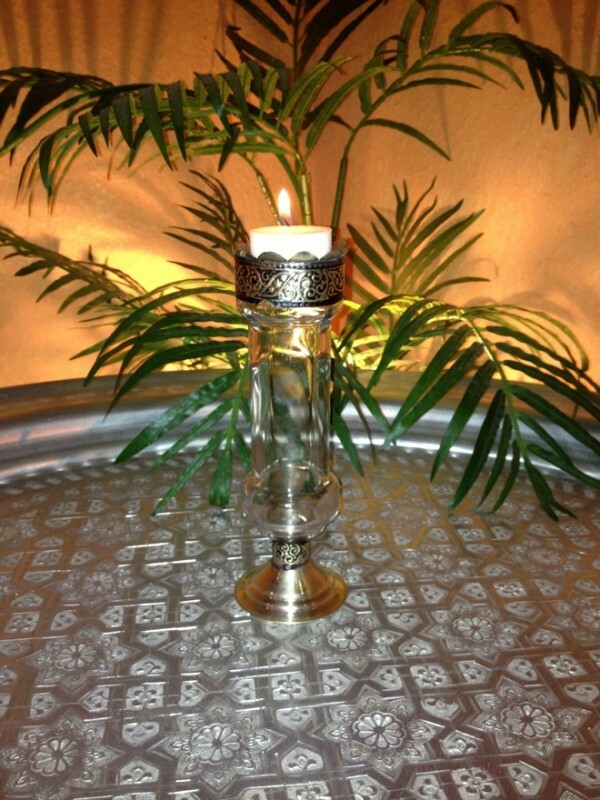 Stylish and classy candle holder from Marrakech. 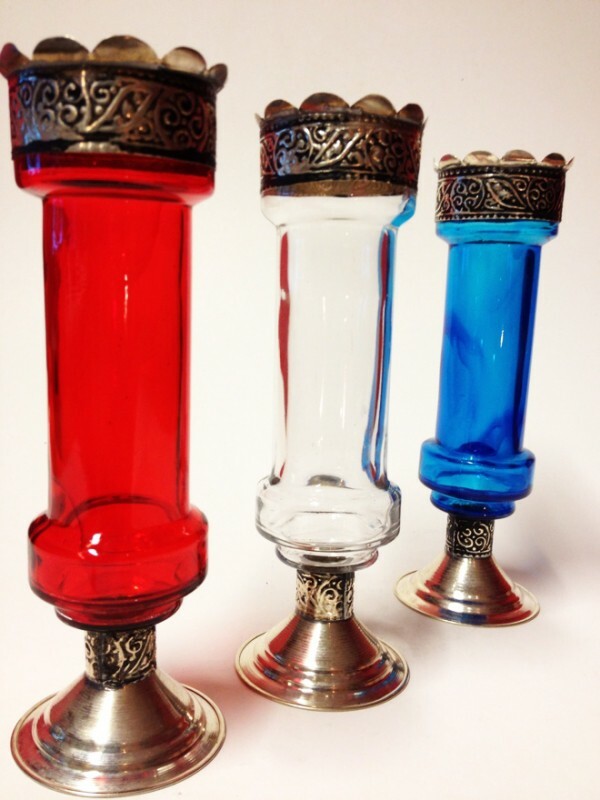 These charming candle stands will add a splash of color and brighten up your room. The ideal accent for anytime and any room. 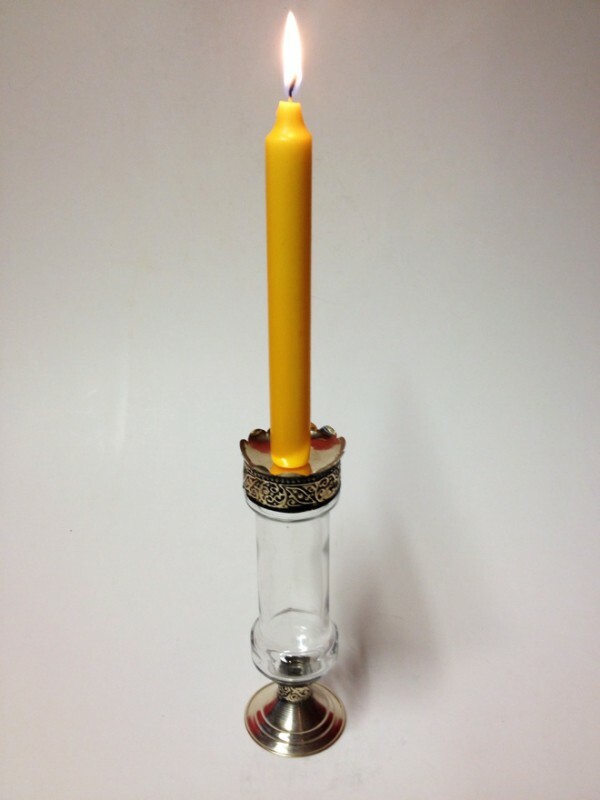 You are sure to get lots of use out of this candle holder. 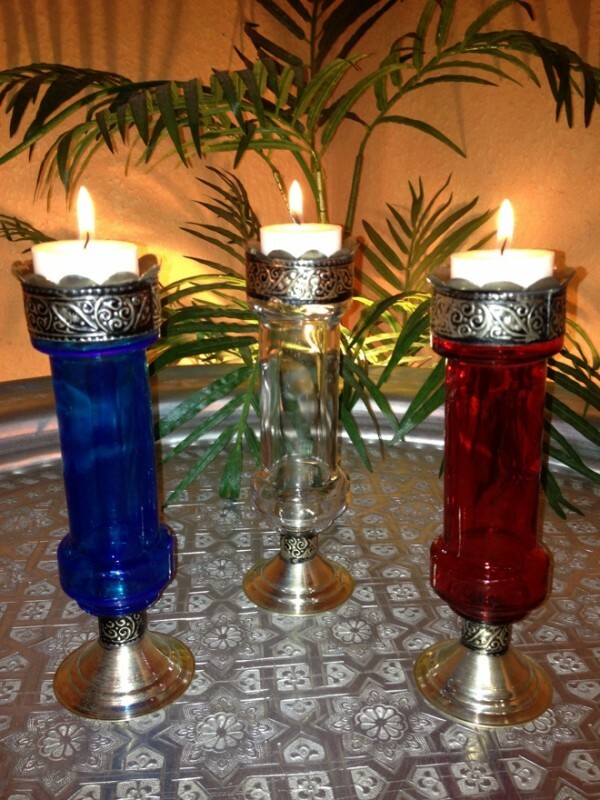 Each candle stand is unique.